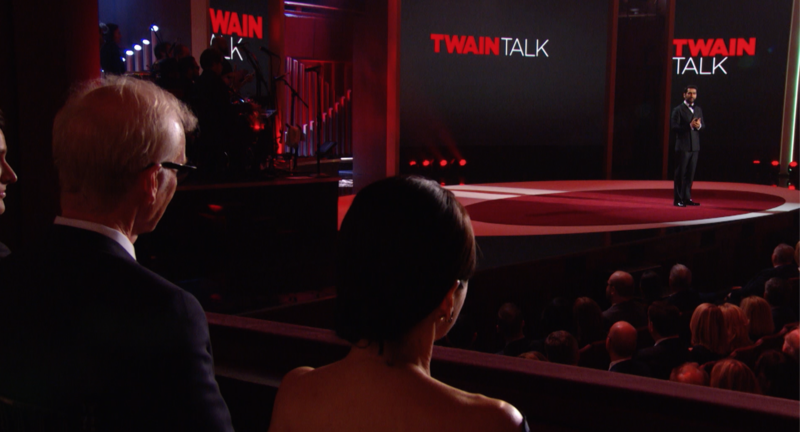 Julia Louis-Dreyfus: The Mark Twain Prize premiered on PBS on Monday, Nov. 19, 2018. 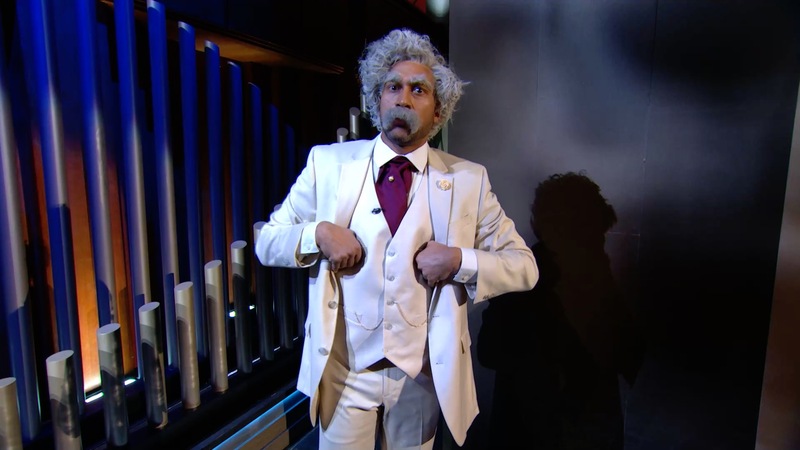 The Kennedy Center Mark Twain Prize for American Humor salutes Julia Louis-Dreyfus. The program premiered Monday, November 19 at 9 p.m. ET on PBS stations nationwide. 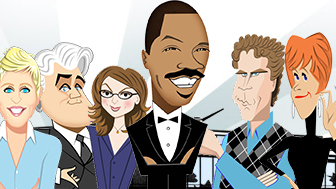 The special, recorded at The John F. Kennedy Center for the Performing Arts on October 21, features a star-studded cast of Louis-Dreyfus’ friends, admirers and collaborators including Stephen Colbert, Bryan Cranston, Tina Fey, Ilana Glazer, Tony Hale, Abbi Jacobson, Keegan-Michael Key, Kumail Nanjiani, and Jerry Seinfeld. The evening pays tribute to the humor and accomplishments of the television icon. 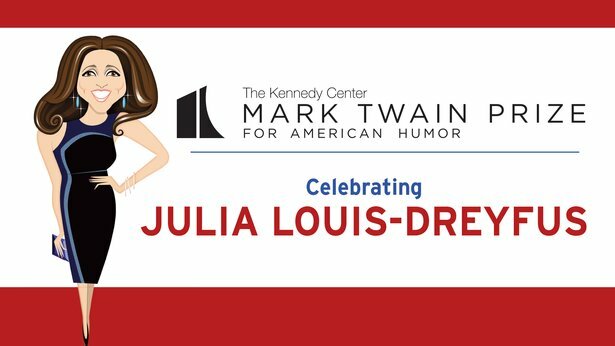 Julia Louis-Dreyfus: The Kennedy Center Mark Twain Prize is a production of Done + Dusted, The John F. Kennedy Center for the Performing Arts and WETA Washington, D. C. Copyright © 2018 The John F. Kennedy Center for the Performing Arts and WETA Washington, D.C. Executive Producers are Dalton Delan for WETA, Deborah Rutter for The John F. Kennedy Center for the Performing Arts, David Jammy and Rick Austin for Done + Dusted. Producers are Chris Convy, Michael Matuza and Bill Urban. Director is Troy Miller. Corporate funding is provided by Capital One. Major funding is provided by the Corporation for Public Broadcasting and PBS. Air travel is generously provided by American Airlines. 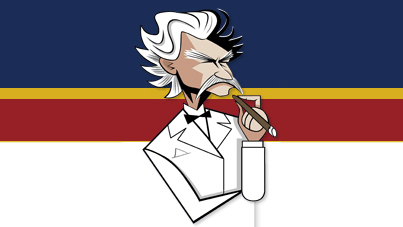 The history behind the Mark Twain Prize for American Humor. From Eddie Murphy to Richard Pryor - the complete list of Mark Twain Prize winners.